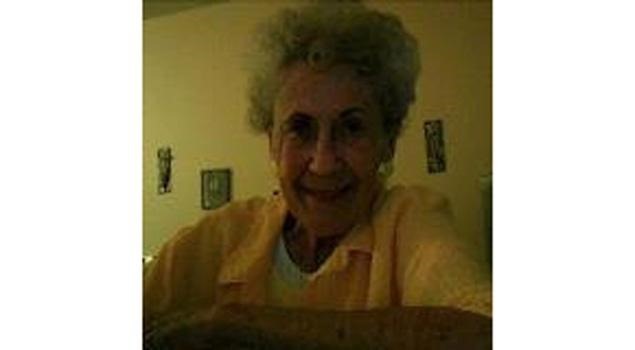 Lorraine Bayless, 87, needed medical attention after her breathing slowed down at the Bakersfield, Calif., retirement facility where she resided. She later died after a nurse there refused to perform CPR on her citing company policy. A dispatcher’s desperate pleas for a nurse to perform CPR and try to save the life of an 87-year-old woman at a California retirement home was met with stubborn resistance, a shocking 911 tape reveals. 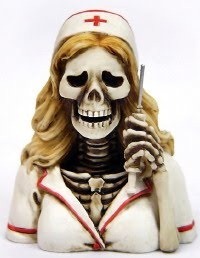 “Not at this time,” the nurse calmly replies. The victim was later declared dead at Mercy Southwest Hospital in Bakersfield — forcing the nursing home, Glenwood Gardens, to defend its nurse’s actions after the life-and-death situation last Tuesday. The Bakersfield Fire Department identified the dispatcher as Tracey Halvorson, who took the call about a woman who had collapsed at the retirement facility’s dining room and was barely breathing. “We need to get CPR started,” Halvorson says in the 7-minute call, which was made public Sunday. “Yeah, we can’t do CPR,” says the nurse, identified as Colleen, referring to a company policy that requires employees to wait for emergency responders to arrive before attempting the procedure. Halvorson tells the nurse that EMS would assume liability for the call. The nurse tells a colleague that she feels “stressed” over the situation and that the dispatcher is “yelling” at her to have one of the other nursing home residents perform CPR. Halvorson grows desperate, and asks if there’s a gardener or a stranger on the street who might be willing to step in. Eventually, the ambulance arrives to transport the victim, identified as Lorraine Bayless, to the hospital. Well, you knew it was coming, that is, if you weren’t foolish enough to vote for this guy. Insurance benefits are growing through the roof and this coming January millions of Americans are going to have their benefits dropped by there employers and will have to go to the public exchange. What does that mean? That means some unelected, faceless bureaucrats are going to tell you to crawl into a hole and die and that there is nothing wrong with you in order to save money (see this post for how they’ll do it). So, when January of 2014 hits get ready, there’s a good chance you’re going to get kicked to the curb by your company. Who can blame them? I’d rather just pay the fine too if I was a company owner and drop my employee’s coverage rather than get entangled in the Obama Care nightmare. That is, after all, what Obama Care was designed to do (eliminate private insurance). Once you’re on government health care trust me, you are no longer free, you are owned. Your health records will be used against you not to mention that you will be weighed in a “cost / benefit” approach as to whether you’re worth saving or not. Plus, there is a bonus paid to hospitals in the Obama Health Care plan if they keep their costs low. You don’t have to be a genius to figure out what that means. Make no doubt about it, insurance premiums are going through the roof and millions are going to lose their current coverage and be dumped onto the government exchange. And I have even more news for you, all estimates now point to this government plan costing around 20,000 per year for a family of five, and you have no choice, it’s a law, you HAVE to buy it. By denying coverage to spouses, employers not only save the annual premiums, but also the new fees that went into effect as part of the Affordable Care Act. This year, companies have to pay $1 or $2 “per life” covered on their plans, a sum that jumps to $65 in 2014. And health law guidelines proposed recently mandate coverage of employees’ dependent children (up to age 26), but husbands and wives are optional. 3) Millions of people who have coverage through a job now will lose it, thanks to the president’s “reforms.” Oh, and children are the biggest victims. The Affordable Care Act is looking less and less affordable. Start with the IRS’s new estimate for what the cheapest family plan will cost by 2016: $20,000 a year to cover two adults and three kids. And that will only cover 60 percent of medical bills, so add hefty out-of-pocket costs, too. Nor will these parents be penalized for not insuring their children — the IRS will kindly consider the kids exempt from the mandate. So, this may be rather un-Christian of me but I’m going to say it anyway. We’re all going to suffer, become wards of the state, and be introduced to the biggest, most costly, worst performing health care system in the world, and I am going to take a certain pleasure watching all these idiots who voted for this man masquerading as a leader suffer as well. I knew from the get-go what he was up to, even my wife didn’t believe me, but now she does without a doubt. And so do more and more people every day. But wait until 2014 kicks in, that’s when the fun starts. If you’re offended by me calling Obama voters idiots you’re going to have to turn the other cheek on this one, you’ll get no sympathy from me. I am so stupid !!! Okay, I’m thinking back to way back when I posted my first “Poor Mans Protocol” and how amazed I was that I got so much better and so quickly. And even though Dr. Staninger said the battle “was in the gut” I drifted away from that. I received an astonishing email from a “little bird” (I’ll let her chime up if she wants to) who wrote to me about the Great Plains Organic Acid test and Metametrix stool testing and she recommended that I really sit down and listen to the recordings on Pamela’s Morgellons Focus site by “Nancy Guberti”. So, today I have been listening very carefully to Nancy Guberti and I am very impressed. Well, I see now where I went wrong. I was doing my probiotics and digestive enzymes regularly back when I made my amazing recovery but I stopped when I started to feel good, big mistake. Also, I realize I need expertise to get rid of this biofilm which I am sure I have because of my malabsorption problems. I am going to seek help in getting ridding of this biofilm after I get the tests done. GREAT PLAINS LABS – OAT TEST & COMP STOOL TEST WHY? Click on the speaker icons to listen to each recorded conference. Please, if you do nothing else listen to that first one on probiotics and biofilms. WASHINGTON DC—–An advocate for people with rare diseases today told a U.S. Senate committee that the burden of funding and driving research on rare diseases too often falls upon patients and their families. “As a society, it is wrong for us to expect people with devastating diseases to fund the search for their treatments,” said Diane Dorman, vice president for public policy of the National Organization for Rare Disorders (NORD). “There are nearly 7,000 rare diseases, and only about 200 of them have treatments. Many are not being studied by any researcher in government, academia or industry. Dorman said the word “rare” is misleading, since about one in 10 Americans have diseases classified as rare. While each disease is unique, there are many problems and challenges that all people with rare diseases share, she added. Dorman told the committee that federal funding and guidelines are needed for natural history studies, patient registries and other basic tools to make clinical research possible. And, she said the Food and Drug Administration (FDA) should institute a statement of policy on rare diseases and orphan products to reduce regulatory uncertainty and encourage researchers to develop treatments for diseases that have none. Dorman made her comments in invited testimony before a Senate Committee on Health, Education, Labor, and Pensions hearing on the topic, “Treating Rare and Neglected Pediatric Diseases: Promoting the Development of New Treatments and Cures.” The hearing was co-hosted by Committee Chair Senator Tom Harkin (D-IA) and Ranking Member Senator Michael B. Enzi (R-WY). A series of focus groups through which stakeholders—academic researchers, patient organizations, industry, and investors— share their views with NIH and FDA officials. NORD is a non-profit organization representing all Americans with rare diseases. It was founded in 1983 by leaders of patient organizations and provides programs of education, advocacy, patient services and research. Eventually Big Pharma is going to win, American Politicians are bought and paid for, I’m disgusted by the whole lot of them. Honor, integrity, love of country are dead in this country. I’m sickened by the entire system.